First of all, happy Valentine’s Day! I hope you all treated yourself to something sweet. Second of all, it’s crazy to think that yesterday was my baby boy’s due date yet I’ve had my little munchkin for 14 days now! It’s been a tiring but rewarding and exciting 2 weeks adjusting to Ethan’s schedule, but we’re getting there! While up at 3 am the other night nursing Ethan, I managed to compile/edit these rag quilt photos on my iPhone. I made this quilt for my dear friend who is due next month. I was able to finish this quilt the Saturday before my maternity leave started. I made this quilt using 1 Layer Cake (pre-cut 10 inch squares) from the Puttin’ on the Ritz collection. 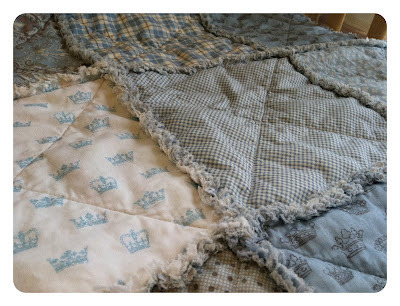 Rag quilts are awesome – they’re simple and quick projects that make such softly textured quilts. I love the simplicity of rag quilts so much that I decided to post a super quick tutorial on how I made it. 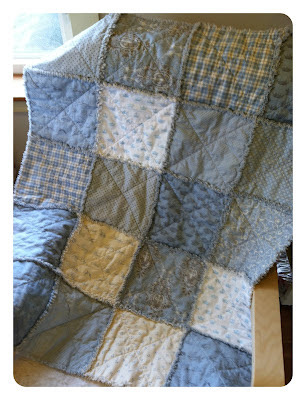 If you need a more detailed tutorial, you can refer to my Rag Quilt Tutorial. Step 1 – Make a mini quilt sandwich: take one 9 inch batting square and sandwich it in between two 10 inch fabric squares. Make sure the batting is centered; also, the wrong sides of the fabric should be facing the batting. Repeat until you have 20 mini quilt sandwiches. 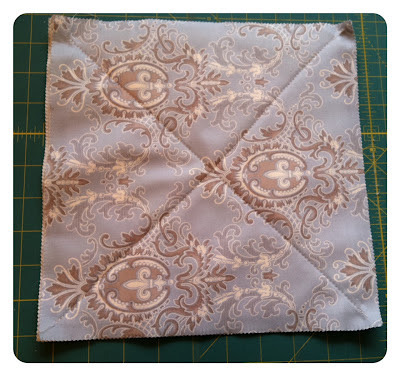 Step 2 – For all 20 mini quilt sandwiches, sew an X as shown below. 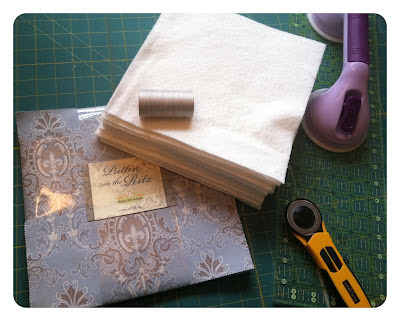 You can start and end sewing at least 1/4″ from the corners. Start and end each stitch with a back-stitch. Step 3 – Arrange your 20 mini quilt sandwiches in 5 rows of 4 sandwiches each. Keep in mind of how the back will look. 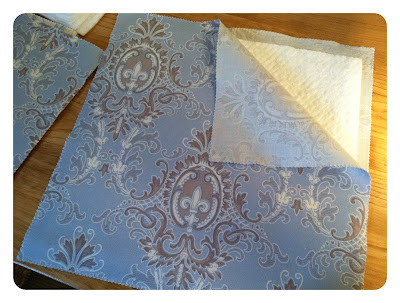 Step 4 – Sew the quilt sandwiches together using a 1/2 inch seam allowance. Start by sewing the sandwiches within each row together, and then sew the rows together. After you’ve sewn all five rows together, sew a 1/2″ seam allowance around the perimeter of the quilt. This quilt requires no binding! That’s it! You know me…I absolutely love cute and satisfying projects like these. Now that i have a little one of my own, I could use more projects like these. Thanks goodness for pre-cuts! 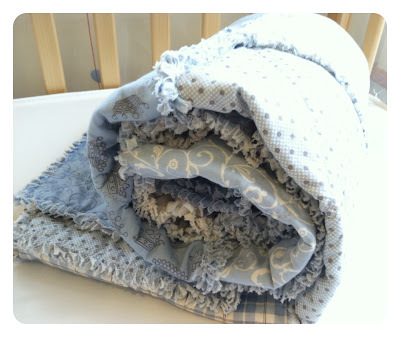 22 Responses to Layer Cake Rag Quilt – DIY! Love the quilt. Looks so super cuddly! I love rag quilts. I finished one for my self today too. I love the material. 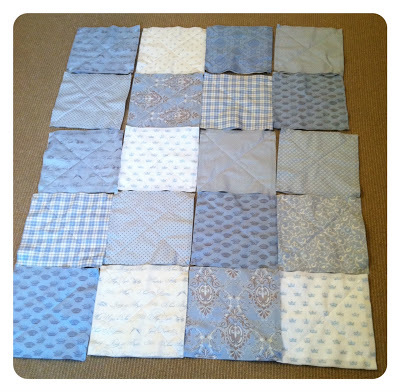 Did you sew both sides of each block to the front, meaning you would end up with the back not having any rag edges? Thanks! Hi em – sorry for the late reply, my hands have been full with my new baby boy! 🙂 To answer your question; yes, the back of the rag quilt would have no rag edges, only the front does. I've never seen a rag quilt before! I'm going to google other photos and then I think I will make one using your tutorial. thank you so much for sharing the tutorial. And your baby is beautiful! Happy stitching! Congratulations on the birth of your beautiful baby boy. I love this quilt design and the fabric is gorgeous…I made one myself and am super pleased with it…Thank you very much for sharing..Look forward to seeing more of your work. Such a beautiful quilt! I can't wait for the little guy to use it! I LOVED LOVED LOVED making this quilt for my goddaughter. It is virtually error proof!! Although I didn't catch that the fray was only on one side. I ended up making it on both sides, which was probably twice the work, but oh well. Thank you so much for the inspiration! Just got my newly finished quilt out of the washer and it came apart at several seams. I used the 1/2 seam allowance, but maybe it wasn't quite that wide in those spots. So sad, but I'm going to try and fix it, fortunately, I think this is a quilt where fixing the seams will be pretty doable since they're still easy to get to. Wish me luck! Love your blog, thank you for such wonderful instructions!!! I hope to be making several of them.. Probably the cutest child's rag quilt I've seen. Can't wait to try it! Thanks for the tute. This is sooo cute. My niece is due in October and this will make a perfect pressie for the new arrival. I will however have to make it neutral colours as we dont know what it will be!!! Hi Jera, I want to make this rag quilt but need to know if the fabric needs to be pre-washed. Do you need to wash any cotton fabric before cutting the squares? Also do you use your rotary cutter to cut fleece & other stretchy polyesters when making the easy baby blankets? I love your rag quilt. I just ordered a flannel layer cake and can't wait to get started. What is the quilt size after washing and drying? Thanks. Please explain in what direction to lay the fabric at seams that come together and then how to clip all these layers!! Does the 9″ batting show in the rag part of the quilt after it has been snipped washed and dried? No, the 9″ batting should not show. It won’t show if you cut it 1″ smaller than the fabric – so in this case the fabric is 10″, and the batting is 9″. 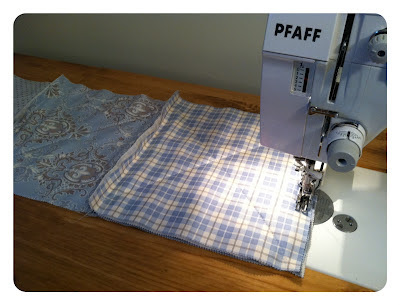 If you want it to show to create a thicker rag quilt at the seams, then use fleece instead of batting (see this tutorial for details: http://www.quiltingintherain.com/2011/02/rag-quilt.html). hope that helps!